Home » Food and Nutrition » What’s Really Responsible for Those Pesky Cravings? There’s always that moment, usually around midday or late at night, when I have a craving for something sweet or salty. I try to resist, but I admit, I don’t always succeed. But when you really think about it, cravings are an interesting thing that can be quite dangerous. Cravings have thrown people off of their diets, have made it difficult to eat and live healthily, and have helped to propel the obesity epidemic. Giving into a craving now and then might not seem like a lot, but it can add up! 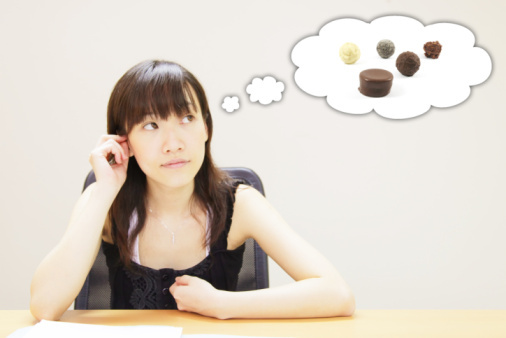 So what is it that makes your mind crave those usually off-limits treats? Well, new research is indicating that you might not be so responsible for the foods you crave—and perhaps eat, if your cravings get the best of you. In fact, the millions of bacteria living in your gut may be calling the shots. The bacterial ecosystem living inside you—known as your microbiome—craves certain nutrients. Some bacteria want sugar, others want fat, while some want vegetables and other healthy foods. They need these nutrients as they compete to proliferate and do what they must inside your digestive tract. However, these needs don’t always line up with yours. So how can these tiny bacteria set you off track? It’s believed that the gut bacteria influence your nutritional decisions by sending signals through molecules to the gut, tempting you to eat what they want. This is very interesting, because it offers some insight into why you crave certain foods or have a hard time sticking to a diet. For example, I tend to notice that if I have a sugary breakfast, like pancakes and syrup, or even a sugary snack, I have a hard time getting my diet back on track for the rest of the day. This is likely because these foods have altered my microbiome and given rise to bacteria that want more junk food. Conversely, by spending a day eating a healthy diet, I can alter my microbiome to give other bacteria greater prominence, silencing any cravings for unhealthier food. The makeup of your microbiome is largely determined by the food you eat. These nutrients attract and create different bacteria, and you can actually make measurable changes to it in as little as 24 hours. Simply put, making improvements in your diet should improve the quality and diversity of your microbiome in as little as a day—if you can ignore the cravings. So to improve your microbiome and silence all of those cravings, start by putting healthy, high-quality nutrition or supplementation at the top of your priority list. Fruits, vegetables, whole grains, and foods with probiotics and prebiotics are the best way to make a positive change. Try some Greek yogurt with berries or peaches for breakfast this morning and maybe you’ll be craving this nutritious snack tomorrow, too! University of California, San Francisco, “Do gut bacteria rule our minds? In an ecosystem within us, microbes evolved to sway food choices,” ScienceDaily web site, August 15, 2014; http://www.sciencedaily.com/releases/2014/08/140815192240.htm.